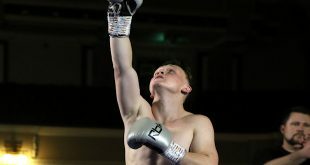 Friday night, at the Bolton Arena in Bolton, England, Hatton Promotions hosted an eleven-bout fightnight which would feature three Title bouts. 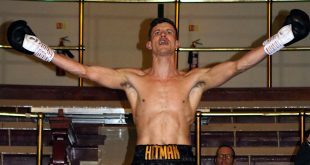 In a packed Arena, the thrilling Bill – titled ‘ Battle of the Champions’ saw ‘Magic’ Mathew Hatton defend his European Welterweight Title for the first time – facing Ukrainian – Yuriy Nuzhnenko. 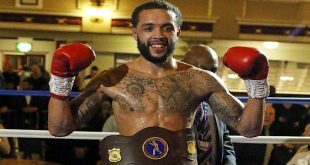 A nicely-toned Hatton won on points (UD) despite a first round scare which sees him sat on the canvas wondering ‘what happened?’ But the popular Mancunian drew on his experience and with the usual support from his family ringside – pulled off another victory. St.Helens Boxer – Martin Murray, won the vacant Commonwealth Title when he posted a points verdict over Australian – Peter Mitrevski Jnr. There was no love lost between these two men, who verbally jibed each other throughout the contest, but Murray got the deserved win (UD) to take the title. 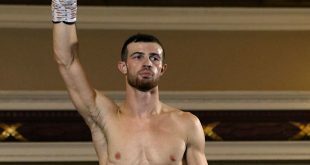 The third Title bout of the night saw Scott Quigg of Bury take on Gavin Reid of Redcar, for the vacant English Super-Bantamweight belt. 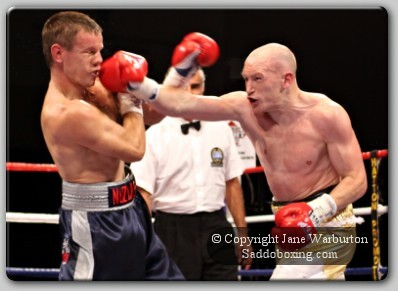 Reid put up a good fight but Quigg scored a ninth round TKO to take the Title.